When it comes to building an audience and driving traffic, bloggers are turning to social media with record results. Instead of relying on organic search or (gasp) IRL friends, successful bloggers know they have to develop a following on key social networks as a way to promote their brands and ultimately get more clicks. Twitter, Facebook, StumbleUpon and now Pinterest provide the savvy blogger with plenty of opportunities to attract new readers and engage with regulars, but it can be overwhelming if you’re new to social media or if you only use it for fun. Make it as simple as possible for your blog readers to connect with you on various social media platforms. They shouldn’t have to hunt around to find your Twitter handle, but should be able to click on a button and be taken right to your profile. Bonus points if your social media icons reflect the overall design or feel of your blog. Even with Facebook’s new subscription feature, there’s still merit to giving your blog its own space on Facebook. It’s nice to be able to post a link every time you publish something new, and not have to worry about annoying your friends. Plus, readers who don’t your name but know the name of your blog can search for it on Facebook. Show your fans some love on your blog by using the Facebook social plugin, which makes it easy to convert readers to fans. This “recommendation engine” serves as an alternate browser where users click through pages that their SU friends and SU itself have recommended. You can submit your own blog posts into the system, but it works best if you also share them with your SU friends and accept their shares back. Like most social platforms, you need to have a strong following to get good results. While people are still trying to figure out what makes SU content go viral, many bloggers have seen terrific, albeit fleeting, traffic spikes through the service. As long as your blog somewhat pertains to your professional goals, you should be showcasing it on LinkedIn. 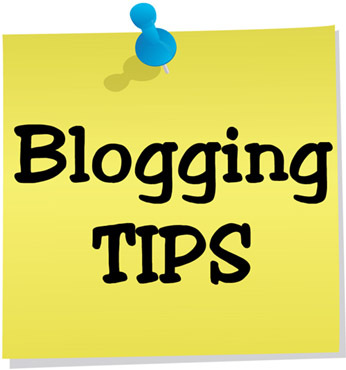 List it as one of your three websites in your profile, where it will be labeled “Blog.” However, by using the Blog Link application, your most recent posts will display right on your profile. Pinterest is the cool new kid, and all of the bloggers are scrambling to establish a presence there. Pin your best photos onto themed boards with links to a relevant blog post. Blogs with strong visual content, like fashion, food, design, crafts and travel, are a natural fit. Infographics will also do quite well. Don’t forget to add a Pinterest plugin (like the Pinterest “Pin It” Button for WordPress users) to make it easy for your readers to share your content on their Pinterest boards. Twitter will now shorten your link for you, and the length of your link doesn’t matter on Facebook and Google+. But by using a link shortener like bit.ly, you will gain access to metrics, so you’ll know how many people clicked and at what time. With this essential data, you can experiment with different ways to tease your content and different times to post it. Promote your personal brand by consistently using your blog’s name for your Twitter handle, StumbleUpon name, Pinterest name and so on. Then, people don’t have to wonder about your blog’s name — it’s right there. Also, people will remember you easily across platforms, which is key as you develop up your online community. There are some very active groups on Facebook that are terrific resources for any blogging issues you encounter. Look for groups like “Travel Bloggers” or “Global Bloggers Network.” WordPress geeks have “Advanced WordPress” and Central Florida residents have “Central Florida Bloggers.” Not only are blogger groups good for problem-solving, but it’s well-known that bloggers like to read other blogs. Do some searching and find a bloggers group that’s suited to you, or start your own! Promote other bloggers’ content, and hopefully they’ll return the favor. You can’t simply blast your own content anyway — you need some variety in every social media stream. So why not check out what your fellow bloggers are posting and give them a retweet, a share or a repin whenever you can. And don’t forget to reciprocate and share content from bloggers who share yours. It can be frustrating when you feel that you’re doing everything right (posting good content on the appropriate platforms in the best way possible) and you’re still not getting many clicks. But console yourself by thinking about all of the links that you see throughout the day that you don’t click on. Just spending time on social media platforms is great way to forge relationships, keep up on industry news and find inspiration for that next blog post.